File photo, Steve Griffin / The Salt Lake Tribune In response to a question from a middle school student, Gov. 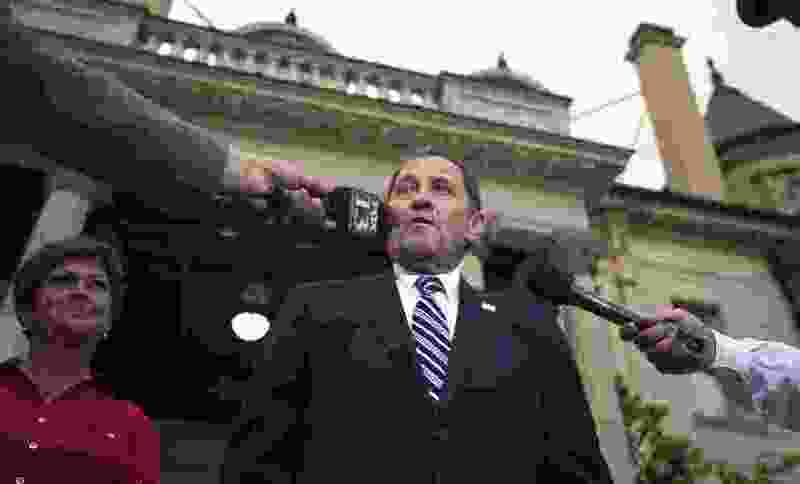 Gary Herbert said on Wed., Jan. 3, 2018, that he thinks voters will approve an initiative to legalize medical marijuana. Utah Gov. Gary Herbert said Wednesday that Utahns will vote to legalize medical marijuana. Whether that will be this November — when it may be on the ballot as an intiative — or a future year, the governor didn’t say. Speaking to a middle school class in Riverton, Herbert was asked by a student about legalization in the Beehive State. “I think they will” legalize it, he said, according to a Fox 13 reporter who was in attendance, who noted adults in the room raised their eyebrows at the statement. “I think it’s gonna happen,” the governor added. In polls, Utahns have shown broad and consistent support for medical marijuana legalization in recent months. An October poll commissioned by The Salt Lake Tribune and The University of Utah’s Hinckley Institute of Politics found 75 percent of Utah voters either strongly or somewhat support the initiative; a UtahPolicy.com poll last month similarly found 73 percent support legalization. “Very excited for November — patients are near tears in anticipation for the relief,” the Utah Patients Coalition tweeted in response to the governor’s comments. The group continues to gather signatures around the state for the initiative; more than 113,000 are required, and they are due to the state by April 15. Herbert has weighed in before on medical marijuana. In 2015, he said he was “open to the idea,” including a “discussion of how it can be used as a medicine based on science.” He also said a year ago he supported state lawmakers’ push for more research on the impacts of medical marijuana. Uncertainty over how President Donald Trump’s administration might view marijuana persuaded Utah lawmakers not to move toward medical legalization in 2017, but they did fund additional research on the drug. “The governor continues to believe that good public policy should be guided by the best medical science,” Lehnardt said.